NIA CHARLESTOWN NEVIS (July 13, 2016) — Two pieces of legislation: the Nevis Special Development Loans (Amendment) Ordinance 2016 and the Nevis Supplementary Appropriation (2011 to 2015) Ordinance, 2016, tabled by Premier of Nevis and Minister of Finance Hon. Vance Amory, were passed unopposed at a sitting of the Nevis Island Assembly on July 12, 2016. The Nevis Special Development Loans (Amendment) Ordinance, 2016, serves as an amendment to the existing Nevis (Special Development Loans) Ordinance, legislation which makes provisions for the Administration to increase its borrowing ceiling to $300 million. It was first enacted in 1988 and made provisions for the administration to borrow up to $14 million. However, in 1989 it was amended to increase the amount to $25 million. In 1993, it was further amended to $75 million. Other amendments came in 2000 to move the amount to $125 million and in 2003 to $225 million. According to Mr. Amory, since the 2003 amendment, there has been an increase in the borrowings of the administration which exceeded the stated limit set out in the legislation and it had become necessary to amend the existing legislation, to increase its borrowing capacity. 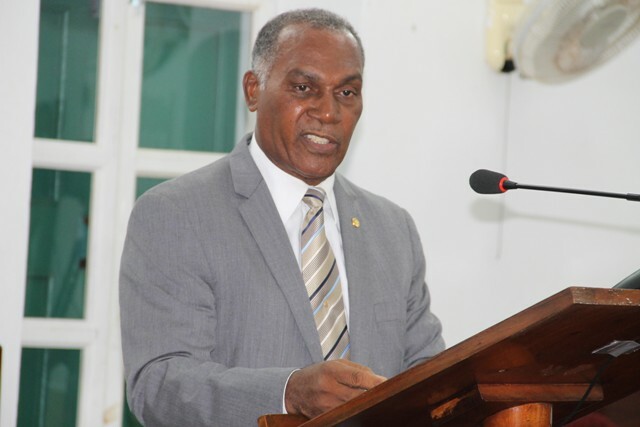 Regarding the Nevis Supplementary Appropriation (2011 to 2015) Ordinance, 2016, the Minister of Finance explained that it deals with unforeseen expenditure amounting to $45, 755,805.70 which was drawn from the Nevis Island Consolidated Fund by the former and siting administrations under the warrant of the Minister of Finance during the financial year which began on January 01, 2011 and ended on December 31, 2015. He noted, that if the government’s function to provide infrastructural development is to continue unabated, the departments and ministries of government have to apply to the Ministry of Finance for a Supplementary Warrant, to undertake the expenditure which is allowable on the signature of the Minister of Finance so that the expenditure can be carried out legally. Minister of Finance also said, it is important for any administration to have the facility to make loans, to borrow on the market from international agencies and locally, from domestic institutions for funding projects for the physical development of Nevis, which properly provide for the people of Nevis and also enables the government to create investments and employment.